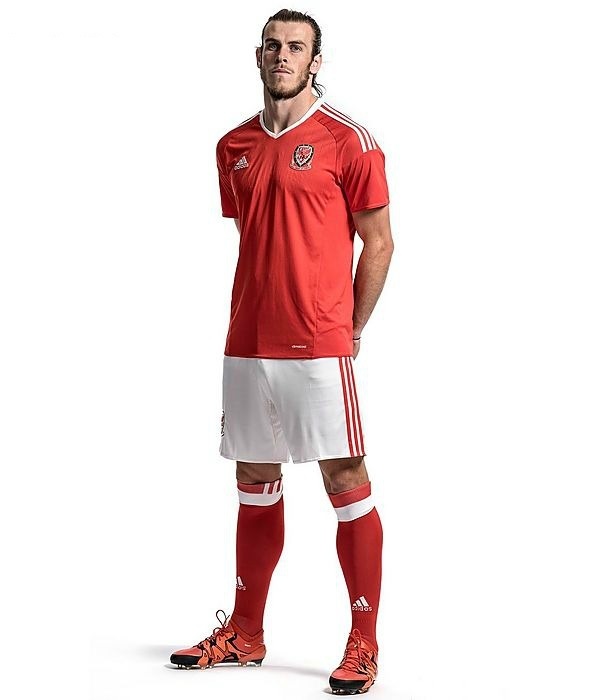 Wales Euro 2016 Kit | New Home, Away Jersey: The official kit manufacturer of Wales football team, Adidas has launched the new Wales home & away kit for the upcoming Euro Cup 2016. On November, the Wales team debuted the new kit against the Netherlands. The home kit featured traditional red color while the away kit featured the grey color. See here the Wales Euro 2016 jersey. Over 30 years, it will be first major international competition for Wales. Modeled by the likes of Ramsey, Bale and Williams, the Wales team will feature in the traditional main red color with white application in the new Wales Euro 2016 kit. Adidas used the clean and classic design with a retro and subtle drop needle thread effect on the home kit. As like the Northern Ireland home kit, new Wales home shirt also features the famous Adidas three stripes iconic stripes on the sleeves instead of the rethought position on the side. White shorts and red socks are set to complete the traditional look of the new Wales Euro 2016 Kit. The new Adidas Wales Euro 2016 away kit featured the combination of two shades of grey with striking green applications to make a bold statement. The home shirt is classic with subtle hoops on the front using two different shades of grey while the back of the jersey is solid grey in color. The understated colors with flashy green for the collar and three stripes break up the dull look. The traditional three stripes is used on the sleeves instead of new positioning on the side of the shirt. 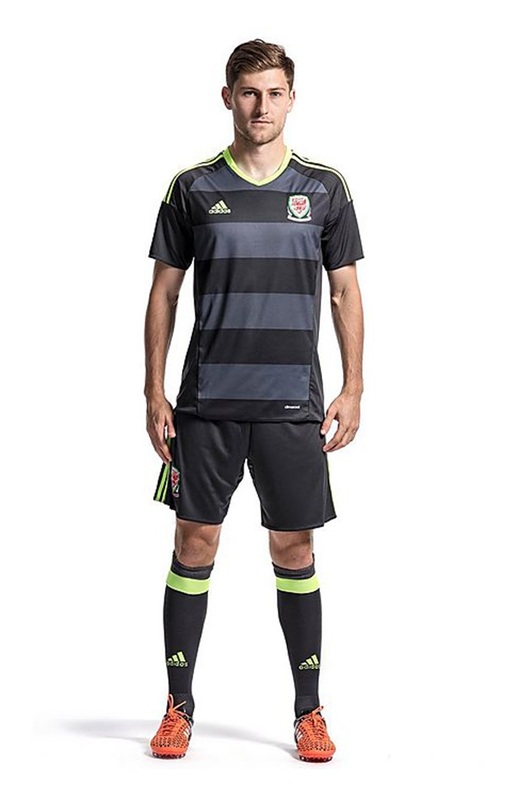 Dark grey shorts and socks complete the Wales Euro 2016 away kit.